For its mid-life facelift, Volkswagen has thankfully changed very little about the Golf GTI, which means it is still an all-around brilliant hatchback. The Volkswagen Golf GTI has long been heralded as the king of front-wheel drive hatchbacks, and it's easy to see why - timeless styling, sweet handling, a perky drivetrain and everyday practicality combine for a brilliant car that you could drive any day, any time. 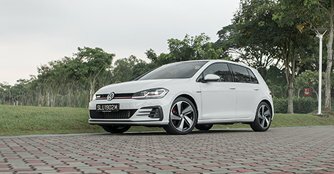 As part of the recent facelift of the Golf lineup, the updated GTI comes to us with a number of upgrades and improvements that will keep it ahead of the pack. What's new? Well, very little, to be honest. Based on the Mk 7 model, the facelifted Golf is essentially mechanically identical. 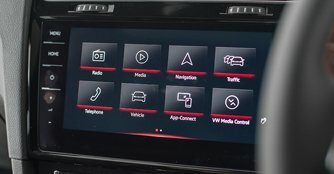 The interior is where you will notice the most significant changes, with the Active Info Display fully-digital dashboard and the new 9.2-inch Discover Pro infotainment system helping the cabin feel more modern. The front bumper is lightly redesigned, the red GTI line now runs into the headlamp housing, you have full-LED head lights, and you get dynamic turn signals as standard. 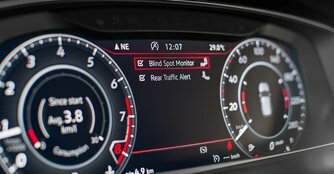 There are also some new safety features that come standard. Oh, and the engine gets an additional 10bhp, bumping power output to 227bhp and the same 350Nm of torque. You can now also reach a 5km/h higher top speed. Is this groundbreaking? Not at all. This is essentially the Mk 7 Performance Package now coming as standard. And to be honest, you're not really going to feel a 10bhp difference in power anyway. What you will feel, though, is a powerful, perky and thoroughly enjoyable engine. The engine is coupled to a brilliantly sorted chassis, which means that the GTI retains its sweet, sweet handling. The steering is nicely weighted, and the car feels nimble, sharp and light on its feet. Where the GTI has really set itself apart is in its overall usability and daily practicality. It's a comfortable, sensible hatchback all things considered. You don't compromise any space compared to a regular Golf, the suspension is pliant and forgiving, and the noise is measured and quiet when you want it to be. Where the GTI excels is its ability to be engaging and exciting even on its normal settings. It's a car that you don't have to push hard to enjoy. In this sense, it's constantly rewarding you, and that's a great, great joy. This is where things start to get a little dicey. For a long time, the GTI has effectively cornered this part of the market, with its combination of excitability and daily usability. However, there are now a number of contenders looking to prise away the GTI's crown. 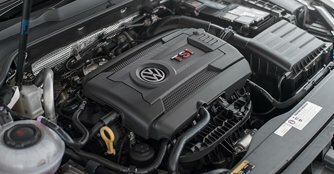 In its segment, the GTI is no longer the fastest or most powerful, and it arguably isn't the most mechanically sophisticated either. But is it still the best of the best? Without having the chance to test it side by side against some of the other pretenders to the crown it's hard to say for sure. But we can and will say this much - if the Mk 7 GTI is the best hatch in the world, than this one is as well, because VW has thankfully not messed around with a proven formula. For all intents and purposes, it's much more of the same, which means that it's much more of just being absolutely brilliant.